Sure Australia has many beautiful beaches, and amongst the 10,000 of them, it’s rare to find an ugly one. BUT, many are similar – golden sands, wide open beach front, dune scrubs and rolling waves – so you can get pretty ho hum about them. Every now and then, you’ll discover a beach in Australia that hits the “oh wow this is so magical” qualities. Just when you think you are getting blase about just another beach, one opens up to stun you. 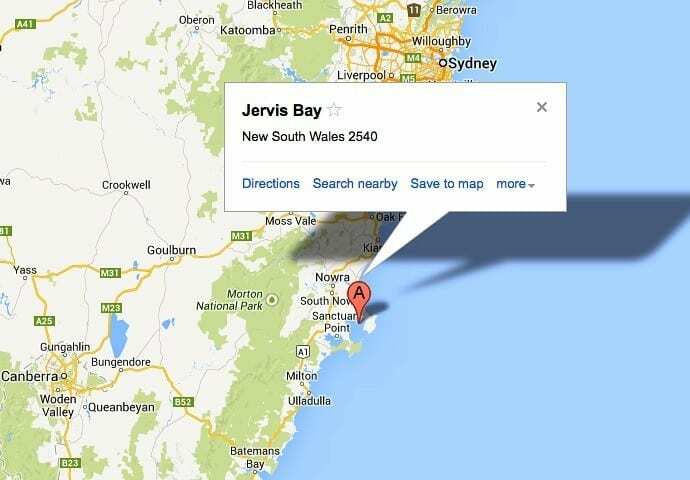 That’s the Jervis Bay region. And that’s what happens when beaches are protected by National Parks and Marine parks – pristine, natural and beautiful. It’s not overdeveloped with high rises and tourist gimmicks. It invites you to wander, cycle, swim, paddle, or cruise out to the ocean to watch for breaching whales. 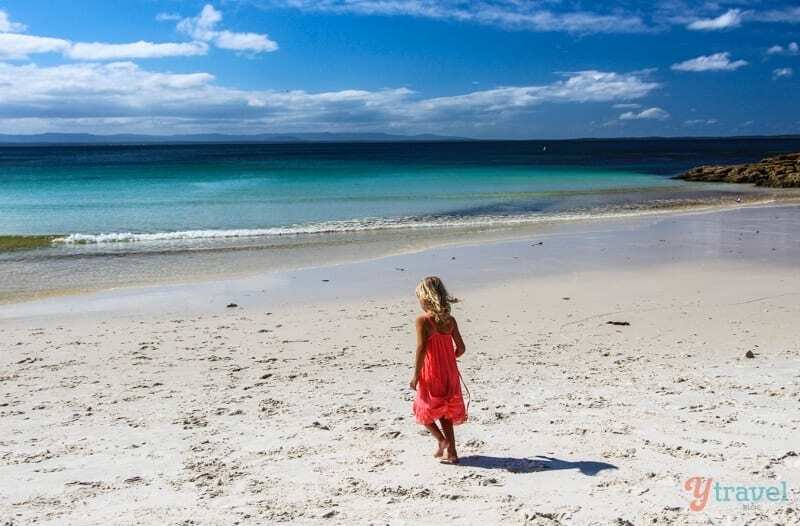 Jervis Bay doesn’t overdo it, offering an invitation to sit and enjoy the free-spirited ambiance. The Sydney to Brisbane coastal highway is often visited by travellers, we urge you to turn your thinking upside down and head south. Craig billed the White Sands Walk as his favourite coastal walk in Australia so far. I’m not too sure about that, but it’s definitely in my Top 5. It’s beautiful and virtually free of other walkers. It’s also flat, with spectacular views and only a few kilometres. This is the perfect combination of Aussie bush and spectacular ocean. Even if camping is not your thing, you must spend the $11 for a 2-day pass into the stunning Booderee National Park. This has to be one of my Australian favourites. It’s on a peninsula so you are absolutely spoilt with white sand, turquoise water, pristine, tropical looking beaches with no one on them! Possums forage around your tent at night, and kangaroos and parrots bounce around to greet you of a morning. We walked down from our campsite at Green Patch Beach, headed to the right end of the beach and around the rocks and before we knew it we were discovering an amazing place called Scottish Rocks. These amazing rock formations hugged the cliff and jutted out into the bay. We couldn’t believe our eyes. Craig kept saying “this is as good as you would see anywhere in Australia”. 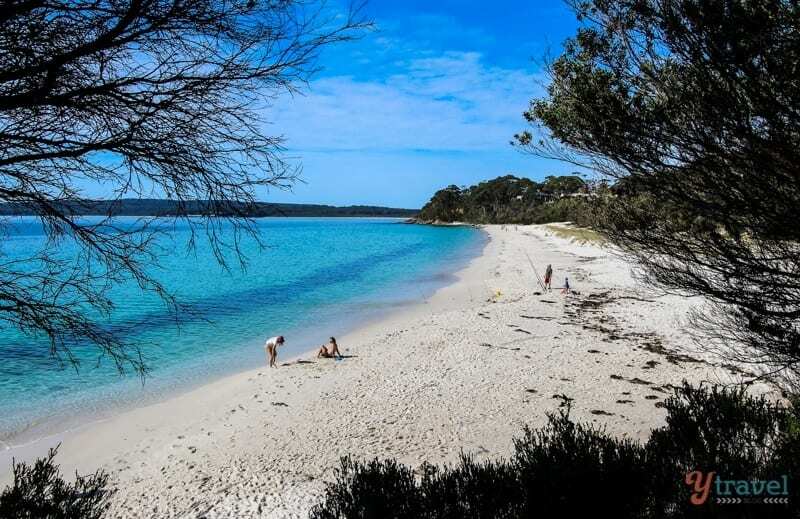 Hyams Beach is famous for having the “whitest sand in the world”. That’s what they claim, and I think I might let them have it. Can you believe I only heard about Hyam’s Beach for the first time a few months ago? You hear a lot about Whitehaven Beach and Wineglass Bay, but this pristine beach has not been given the recognition it deserves. 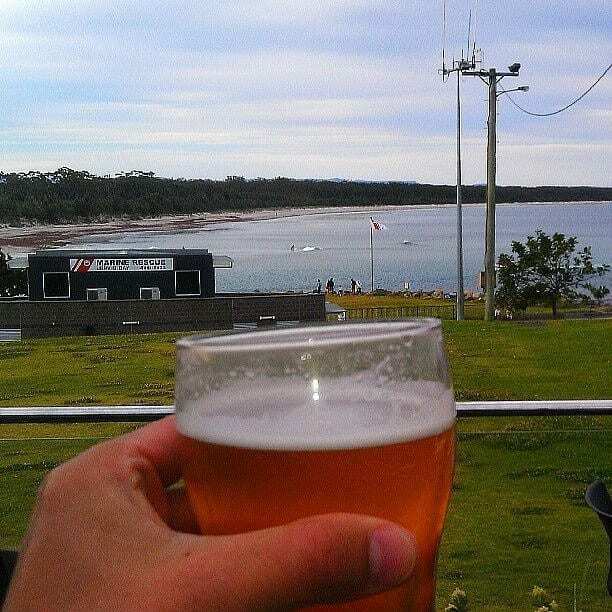 The Husky Pub has a huge beer garden with views out over the bay. It’s a lovely spot to spend the evening hours appreciating the end of a day lived well. On Sundays, they have live acoustic in the beer garden, so get there early to jag a seat, as it’s a popular place. The Husky Bakery & Cafe is famous for pies, and judging by the amount of people in the shop when we visited, word has spread far and wide. 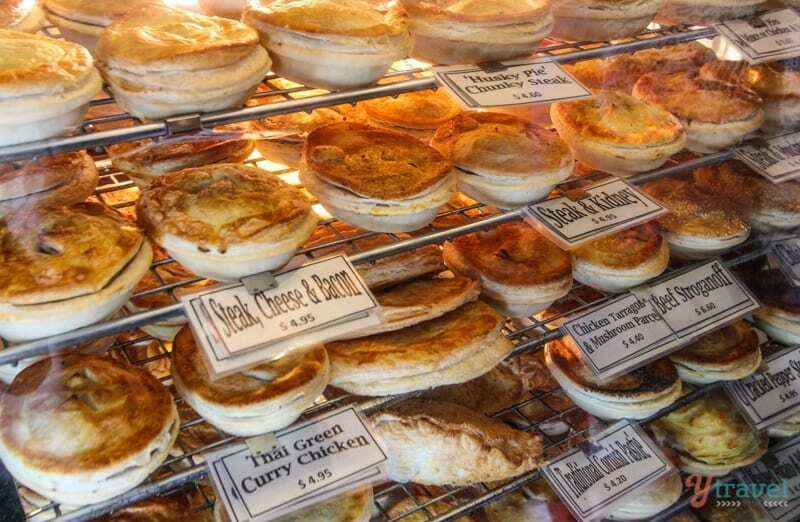 Not only do they make a great pie, but they have LOTS of variety of pies. Craig enjoyed a potato pie whilst the kids played in the built in playground at the back of the cafe. It’s a great place for breakfast, brunch or lunch. We didn’t do the breakfast, but the meals looked pretty good as they were delivered to full tables around us. We sure enjoyed the coffee. 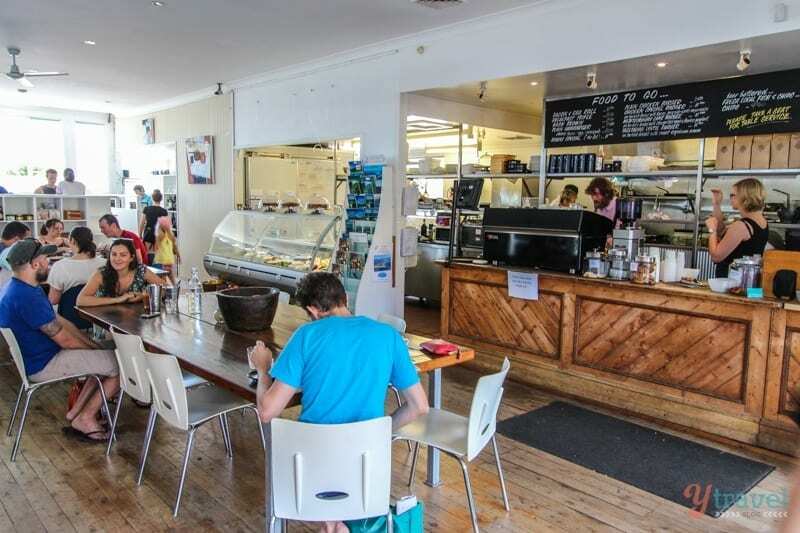 This cafe makes for a great retreat after visiting the famous beach, or as a half way rest point during the White Sands Walk. 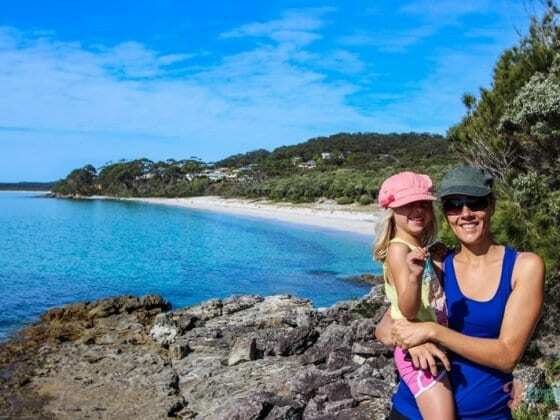 We stayed in a cabin for three nights at the Jervis Bay Caravan Park located on a clear waterway accessing Jervis Bay. It’s in the quieter part of town and, although not in the centre of the action, offers a peaceful retreat. 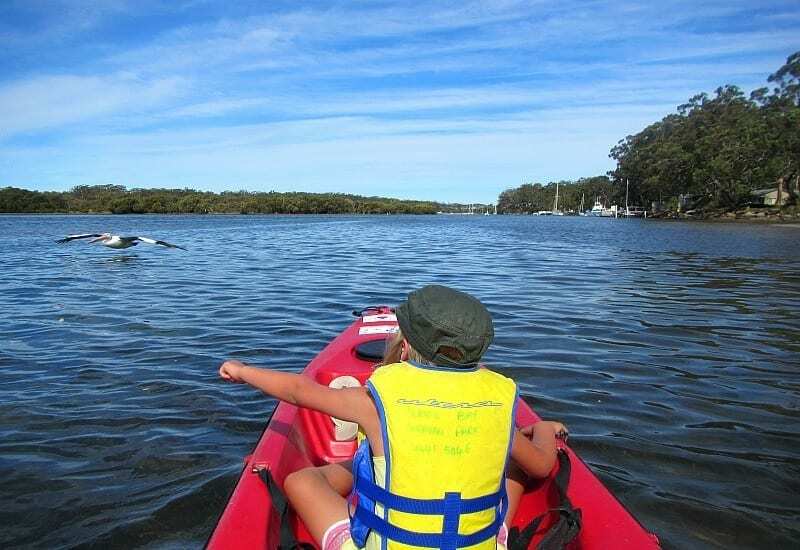 You can cycle along the pathway to Huskisson town, or even better, hire kayaks and paddle your way in. Kalyra and Craig spent a bonding afternoon enjoying the views from a kayak. The only problem with this is deciding which beach to choose. 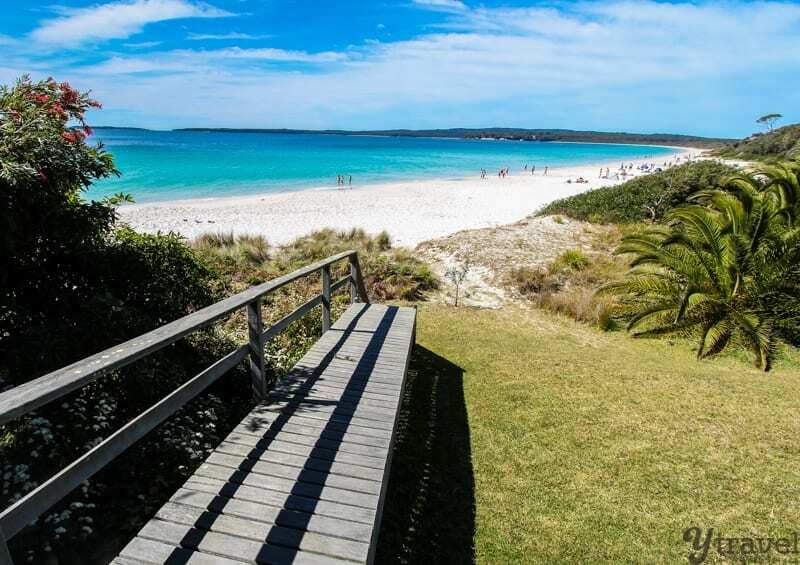 Take your choice from the famous Hyams Beach, Green Patch Beach, or other stunning beaches such as Murrays, Greenfields and Chinamans. 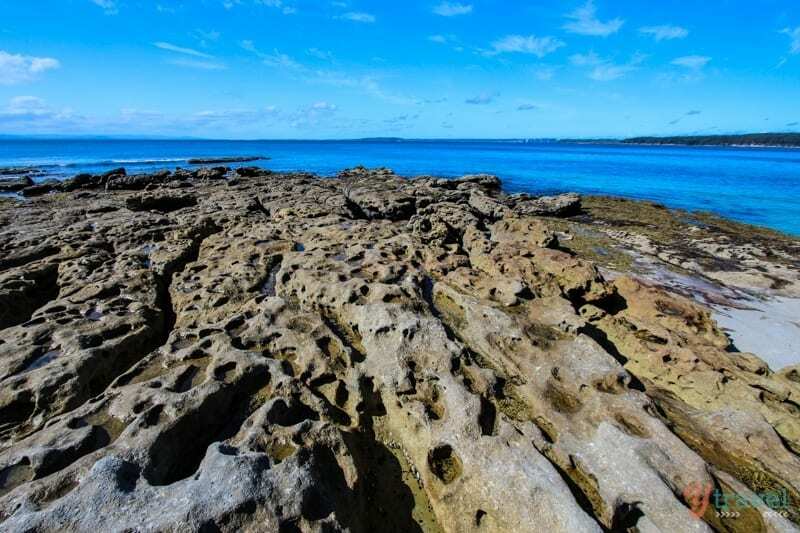 The Jervis Bay region is just 180km south of Sydney (about 2.5 hours drive). 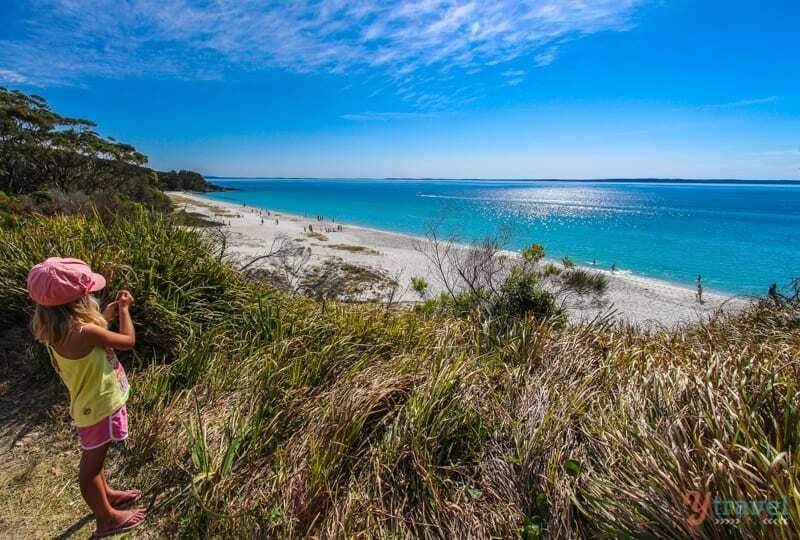 The nearby town of Huskisson offers ample accommodation options for all budgets, plus lots of nice cafes. 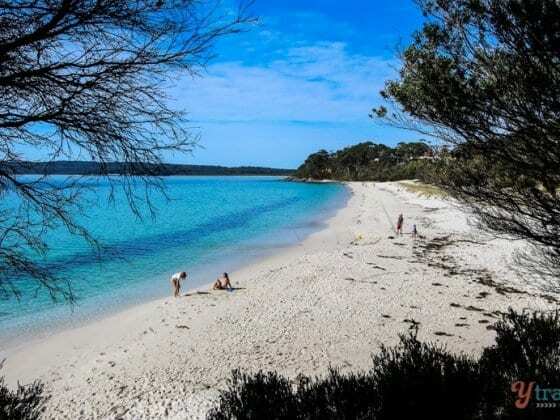 Jervis Bay looks amazing! I am actually in Sydney looking to plan a trip there in the next few weeks! Do you think its a destination I could get around without a car, or would you recommend renting one? Hi Julia, you definitely need a car. Public transport is not really an option for exploring all the beaches and Booderee National Park. Check out http://vroomvroomvroom.com.au/ who compare car rentals from all the big sites. Hi Bonny, when I say the best coastal walk, I mean the best I’ve personally done so far. I’m sure we are going to walk some amazing walks all around the country! I’m not too sure Marion, I wasn’t really paying attention. I’m sure the beaches around town would be. ACtually Green Patch in the National Park is as we road our bikes down a ramp to get onto the beach. It’s a really beautiful one too. I’ve been before but missed out on the Husky Pub and pies – look like we’ll have to go back ! PS. You didn’t even mention the fishing in Jervis- c’mon! Scottish Rocks looks like an awesome spot. I love this place., but need to discover more from the national park. Planning to go there soon. Do you know got place to stay with kids (accommodation)? This is really helpful. I’m planning a weekend trip with some friends over Easter. 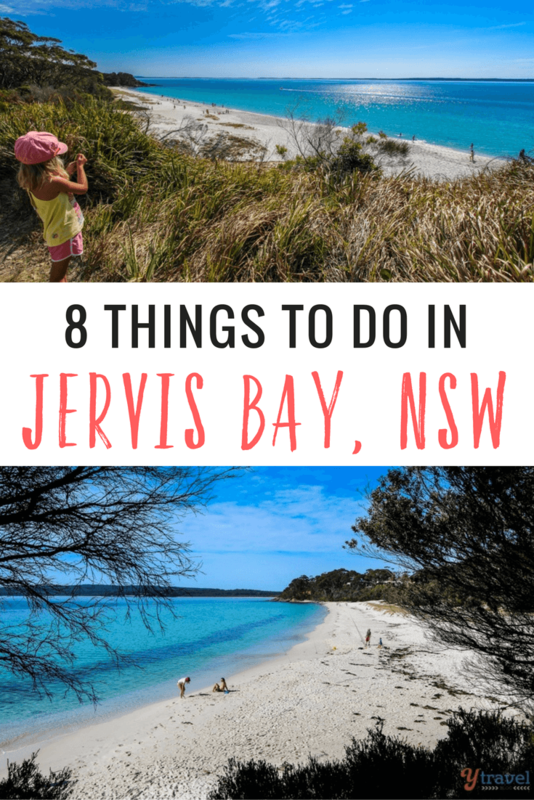 So many people have already recommended Jervis Bay to me. I can’t wait to see it for myself! Is the water rally luminous at night?